Be the first to share your favorite memory, photo or story of Ivon. This memorial page is dedicated for family, friends and future generations to celebrate the life of their loved one. 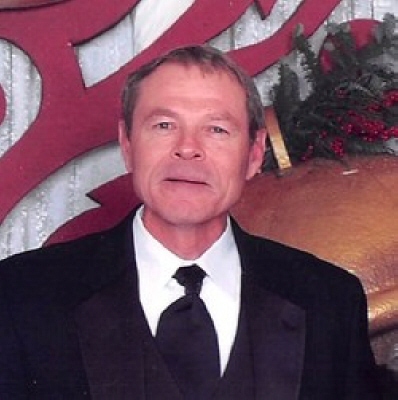 Ivon David DuPont, 59, of Spring, Texas passed away Tuesday, December 25, 2018. Ivon was born August 2, 1959 in Waukesha, Wisconsin. He graduated from Hartford High School in Wisconsin. He was a member of the Hartford varsity wrestling team where he held many school records. He had a full scholarship through the Evans Scholars Foundation and received his Bachelor’s in Accounting from The University of Wisconsin at Madison. He was an avid Badger, Texas A&M, and Packer fan who attended countless games. Ivon was CFO at Forge Products Inc. in Houston. Ivon was President of The Woodlands Heights Civic Association and was active in bringing a light rail system to Houston. He was also the Treasurer of Zion Lutheran Church in the Heights in Houston. He was active with the Boy Scouts including assisting his sons in pursuit of their Eagle Scout rank. Ivon had volunteered at MD Anderson where he met his wife Karen. He is survived by his wife of 22 years Karen Cajacob DuPont and two sons, David Earl DuPont and Jacob Wilson DuPont, his parents Earl Joseph and Jean Zuehlke DuPont of Hartford, WI, mother-in-law Kay Cajacob of Plano, Texas, sister Laura Stein and husband Travis of Cottage Grove, Wisconsin and nephews Ryan and Jameson and sister Margaret Hoier and husband Greg of Cottage Grove, Wisconsin and nephews Evan and Ty, sister-in-law Julie King and brother-in-law Kenneth of Fairview, Texas and niece Jordan and nephew Austin and sister-in-law Kimberly Villarreal and brother-in-law Aaron of Plano, Texas, nephews Lance, Dalton, and Dillon and many aunts, uncles, and cousins. Ivon was preceded in death by his father-in-law David Lee Cajacob of Houston, Texas and his grandparents. A Memorial Gathering honoring Ivon’s life will be held Sunday, May 5, 2019 from 2:00-4:00 p.m. at the Hartford Golf Club (7072 Lee Road, Hartford, WI 53027) where Ivon spent many seasons working on the grounds crew. Interment in Klein Memorial Park SH249 in Pinehurst, Texas. In lieu of flowers, memorial contributions in Ivon’s name to: Froedtert Cancer Research-Drive for A Cure, MD Anderson’s Cancer Research, or to Evans Scholarship Foundation, are sincerely appreciated. Ivon’s family would like to extend their thanks for the care and compassion he received at MD Anderson during his illness. To send flowers or a remembrance gift to the family of Ivon David DuPont, please visit our Tribute Store. Family has coordinated the memorial gathering. Guaranteed delivery before Ivon's gathering begins. "Email Address" would like to share the life celebration of Ivon David DuPont. Click on the "link" to go to share a favorite memory or leave a condolence message for the family.